We visited Captiva Island recently for a week and were instantly obsessed with everything about the island. In addition to the natural beauty of Captiva, there are also fantastic places to eat as well. 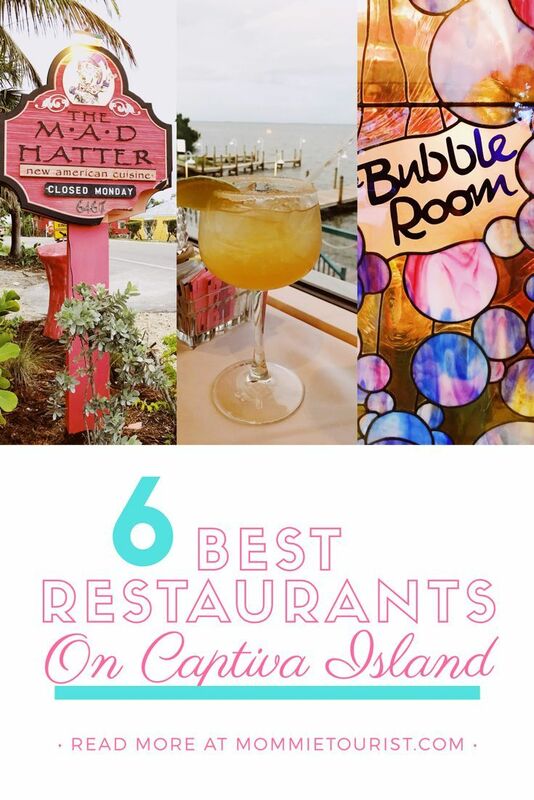 Below are some of our family’s favorite places to eat on Captiva Island. Make sure to check out our other post on Captiva here. You can also read more about another local island, Sanibel Island, here and here. If I had to pick an absolute favorite place to eat in Captiva it would have to be the Bubble Room. I like to think of the bubble room as best all around or the real MVP. One of my favorite parts of the bubble room is the atmosphere. It is a (very!!!) eclectic environment to say the very least. Imagine that the land of oz from the wizard of oz, a healthy scoop of vintage Disney, and the north pole were all meshed together with awesome food, insane homemade cakes, and tons of surprises. Well that is the bubble room for ya! In addition to it being Christmas at the bubble room 365 days a year, the bubble room also pays a hefty homage to Hollywood and you will find lots of memorabilia to that effect all around the restaurant. Most of the items on the menu are named after either famous celebrities of the past or famous movies. Celebrities from the past aren’t the only ones you might see at the bubble room. The bubble room is a favorite with some of today’s famous celebrities that like to vacation on Captiva. The bubble room is rumored to be a favorite of Katie Holmes so you never know who you might see there. The servers here also all wear really fun and crazy hats which helps to add to the cheerful atmosphere. They make a fun place even more fun! The bubble room is known for their burgers and they do not disappoint. The nachos ( pictured above) are also a definite must and enough to feed a ton of people. I especially love how they serve old fashioned bottled cokes complete with fresh cherry on top. I also had to check out their Pina colada that is served in a freshly scooped out pineapple. One part dessert and two parts cocktail, this drink was one of my favorite drinks I tried during the week. The bubble room is known for putting a fun spin on the smallest things that really help create an awesome dining experience for the entire family. There are several different floors and every room has a different theme and decor. You are welcomed and encouraged to explore the restaurant no matter which room your table is in. There is SO much to see here I promise! The last bit of information worth discussing is the bubble room’s homemade cakes. You absolutely CAN NOT go to the bubble room and not get one of their HUGE hunks of cake. I am a chocolate girl myself and the first time we went I went that direction. But the cake that the bubble room is most known for is their orange cake ( pictured above in case). I have NO earthly idea what it is, what is in it or anything but I can tell you it is worth a trip if for no other reason that to get this cake. Are you noticing a trend yet? It’s because everything is more magical and whimsical in Captiva! The Mad Hatter is no exception. The little gem will make Alice and Wonderland fans everywhere swoon. I was a little nervous about this restaurant because I was not sure it would be kid appropriate but kids are definitely welcome. Depending on the child I am not certain I would take a super small child but ours was four when we went and it worked out fine! I love all the Alice & Wonderland themed items that can be found all around inside. The attention to detail in this restaurant is fantastic especially the quotes from the book/movie that wrap around the top of the walls. The stain glass windows of Alice and the rabbit are also gorgeous (above)! My pictures really don’t do this boutique restaurant justice. I would say this restaurant is definitely for our “foodie” friends with a very refined palette. The Mad Hatter prides itself on using local seafood and the best of the best fresh ingredients. The dishes that they turn out reflect this. The crab cakes and plantains that I had were phenomenal and my husband loved his lobster tail complete with fresh orchid. This restaurant sports an impressive wine list that will please EVEN the most selective wine connoisseur and the rose’ we tried was phenomenal. By the time we made it to the restaurant it was dark but if you get there early enough the restaurant is right on the water and is sure to promise beautiful pre or post dinner views. I think the Mad Hatter is definitely a “must do” when in this area and I can not wait to go back soon! Location, location, location! The Green Flash has the location. If you are looking for spectacular water views whilst you dine this is it! The cocktails aren’t shabby either! We thought the food was fantastic at The Green Flash. This restaurant is extremely family oriented and the prices did not break the bank. While the food is impressive in taste, the atmosphere is very casual and laid back which we like because mom is not a nervous wreck about what we might break or mess up!! The Green Flash was a winner with all members of our party. They have tons of fresh seafood as well as an impressive kids menu that will satisfy the pickiest little eater. I really did not want to get a margerita but I wanted to make sure to give ya’ll a thorough review so I made myself drink it against my will ( wink wink). But seriously it was delicious!! It tasted even better with such a great view. We could not leave without checking out the dessert menu and there were so many great options that we got a few and split them. In some places desserts get silly expensive but the were very affordable too which is an added plus! If you are looking for beautiful water views with your dinner then this is an excellent choice. You might also get lucky and see a green flash as you watch the world famous sunsets on Captiva Island from the Green Flash. I think Doc Ford’s would be Mr. MT’s favorite if he had to pick just one. The first time we went to Sanibel Island we ate at Doc Ford’s on Captiva as well as the other location in Sanibel. That’s right- they have two locations to serve you! To me this is always a good sign because that means their food is in high demand and the consistent wait for a table in both locations is confirmation. The location on Captiva is within walking distance of South Seas Resort. We have eaten at that location several times and it is in a great location on Captiva that is surrounded by other fun places to explore. Doc Ford’s Captiva also often have a live band when the weather is right and it has a great atmosphere. Both locations feature awesome porch areas where you can dine al fresco. One of the reasons Doc Ford’s is a winner for me is that they consistently deliver fantastic food and service. 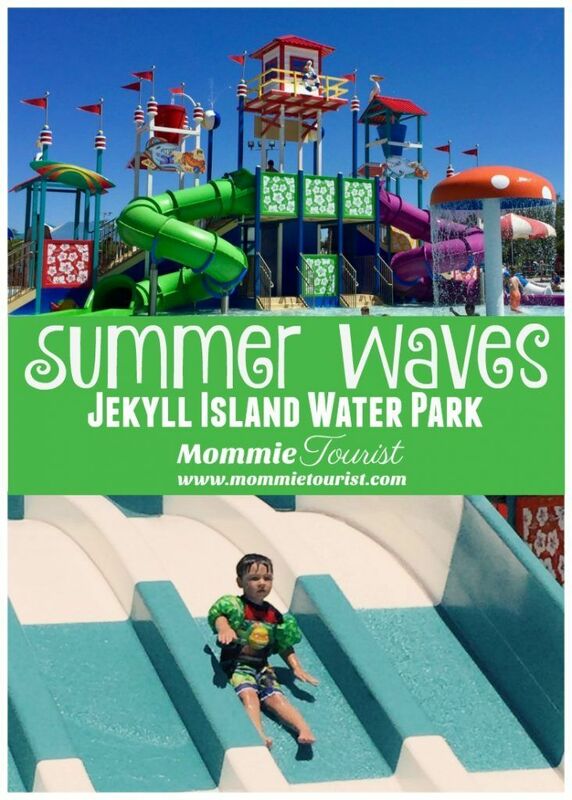 The prices are very reasonable and the kid options here are extensive. They have a GREAT kids menu with lots of delicious, healthy, and inexpensive kid options. Doc Ford’s is known for their fish tacos and I highly recommend trying this when you go. They offer these tacos with shrimp or fish and both are incredible. My husband is a huge fan of lobster rolls in general and he said their lobster roll was exceptional. I admit he is a tough food critic. The location on Captiva also had some really pretty aquariums that the whole family enjoyed. Doc Ford’s is definitely on of our family’s favorites and you can not stay in this area without giving it a try! If you are looking for a fun and casual place to eat then RC Otters is a great a great choice. Our family had lunch here one day and I think it is a fantastic option for a quick lunch when exploring the island or a break from the beach. RC Otters has great wraps, sandwiches, seafood baskets, and so much more. This is another extremely friendly kid restaurant both in atmosphere and food selection. We have a very picky kid panel and there were no complaints. I am also happy to report the fries especially passed a stringent inspection from the smallest judges- a very important criteria for kids. The prices here were some of the most reasonable we found on Captiva. I love RC Otters because it is really casual and you can easily get away with a cover-up over your bathing suit as well as rambunctious kids too!! There is a great shady patio outside and they often have live music here. If you are looking for good food with a casual atmosphere at a reasonable price then RC Otters is a winner. If you want to eat some amazing seafood in a pub like setting and watch some the most beautiful sunsets you can imagine- then Mucky Duck’s is your best bet! Mucky Duck’s is beachside. Some places claim that but at Mucky Duck’s you are literally on the beach. This place is a Captiva Institution and an absolute MUST on your list. It is famous for the sunsets. I think the cold beverages and fantastic food are definitely an added bonus worth your while. The inside reminds me of an english pub at the beach. It is small and quaint enough to feel cozy but the food packs a serious punch that says we have been here awhile and we know what we are doing in the kitchen. I like it. The other members of my party did as well. Coconut shrimp are my weakness and Mucky Duck’s hit the nail on the head with the shrimp. I love the laid back and casual feel of this restaurant. This is a great place to check out for lunch if you are at the beach or for a dinner after sunset. No matter what time you go you will not be disappointed at all. A fun fact is that Mucky Duck’s is the sister restaurant of The Green Flash mentioned above. So expect the same great food and service at both locations! Make sure to check out Mucky duck’s live beach cam here at you can see what I mean about the view for yourself. Laci Hewett is a blogger, writer, and influencer at MommieTourist.com. She graduated with her BBA and worked for 7 years in banking, marketing, and account management before becoming a registered nurse. She lives in a popular vacation area off the southern coast of Georgia and is located between Saint Simons Island and Jekyll Island, Georgia. Laci’s blog focuses on travel, fashion, and motherhood with everything in between. On the weekends you can find her at one of her favorite local brunch spots or on a road trip to check out somewhere new. Laci can be found on Instagram, Twitter, and Pinterest @MommieTourist or you can track her down on her blog at MommieTourist.com.